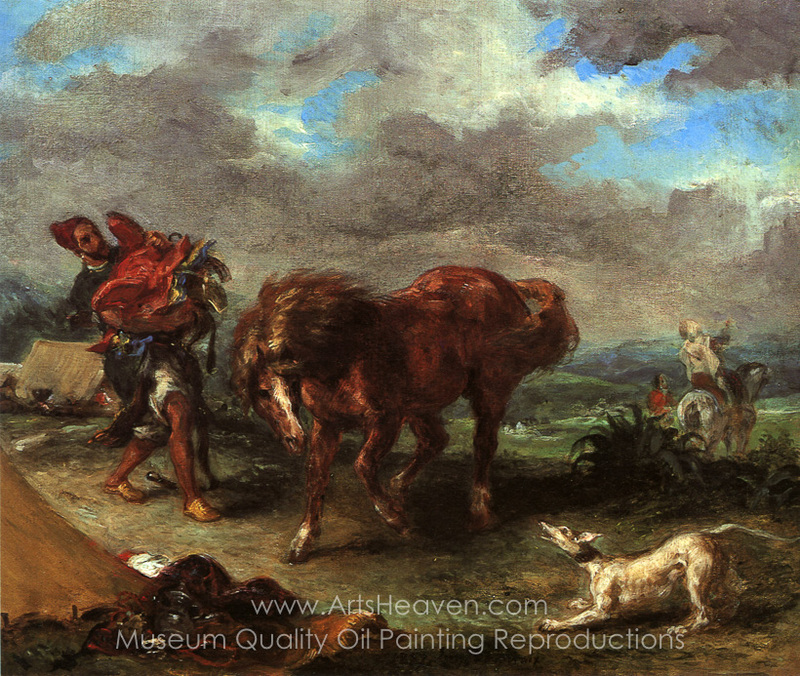 In 1855 Delacroix presents a dramatic Lion Hunt at the universal exhibition in Paris for which he is awarded the Legion of Honor. THis painting, made two years later, testifies to the energetic, vital style of his mature production. 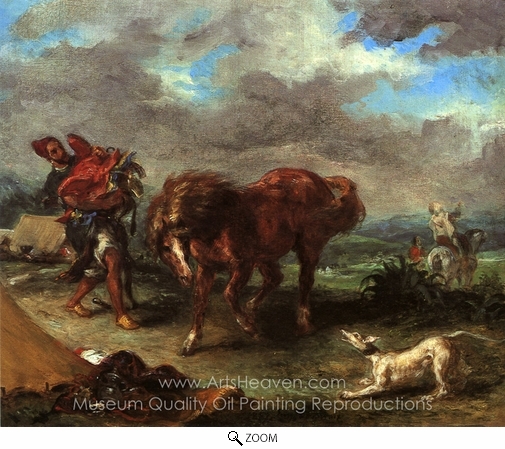 Decorate your home or office with our beautiful museum quality art reproduction of Eugene Delacroix Arab About To Saddle His Horse painting. Why settle for a print, poster, giclee or canvas transfer when you can grace your walls with a genuine oil on canvas painting reproductions for sale at up to 75% below gallery prices. You are commissioning an authentic hand-painted oil painting on quality artists canvas. Painted by professional artists brushstroke-by-brushstroke with attention to all details. Order your Masterpiece today and get Free Shipping to your door direct from our studio.